Whatever happened to Vanilla? What was once upon a time the simple, no-nonsense and classic flavour has been twisted and turned into countless and tasty varieties. Over the years in the midst of our creativity and imagination, we all lost sight of the original taste of vanilla that helped spark our creative juices. But what if you’re only after an old-school vanilla shake? 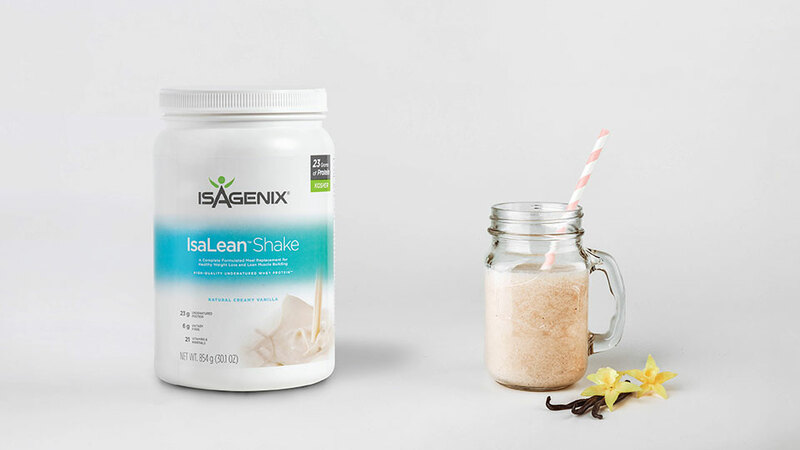 It’s time to try our IsaLean™ Shake Natural Creamy Vanilla! The delicious true vanilla flavour is a throwback reminiscent of a big bowl of ice-cream. Take a step back from the plant-based, dairy-free, low fat, no fat, extra thick, extra creamy, extra protein and French variations and return to the nostalgic natural vanilla flavour. And what’s more, it’s certified Kosher! Be sure to add the Natural Creamy Vanilla IsaLean Shake to your next wholesale or Autoship order, or even better, select it as your desired Shake in any of your Weight Loss, Energy or Healthy Ageing Packs! Jump into your Back Office or IsaLife™ app and get yours today.